Building a call center in the 1990s was a huge undertaking: in addition to hiring your callers and finding lists, you’d need phone lines for each of those callers. Add in the stress of consolidating data from each individual rep, and even with computers, the amount of work would be staggering. Now, tons of companies have made this process easier with software programs and voice over internet protocol (VoIP). 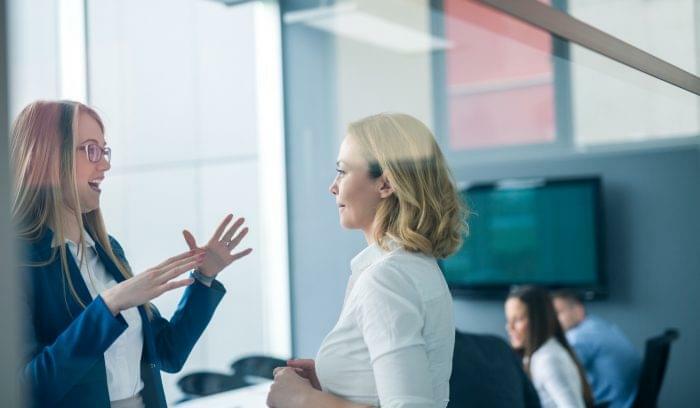 These systems bring together calling technology and sales enablement programs to help companies call as many leads as possible while staying compliant with legal regulations. 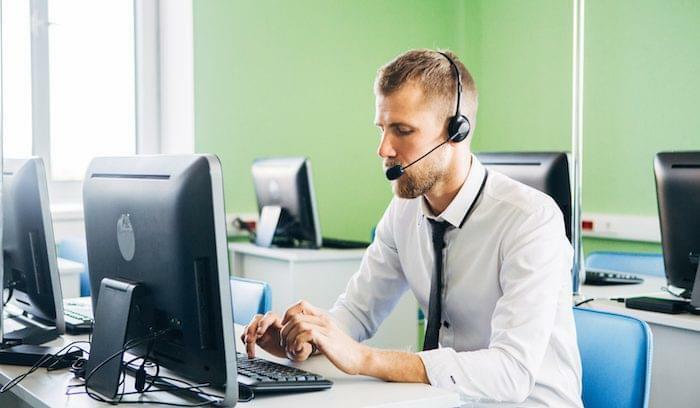 Predictive dialing software is a small niche in the larger call center marketplace, but you can still find capable options. Predictive dialing software compares lists of potential leads against internal data and local do not call (DNC) lists, then dials up to five numbers per agent at once. These features mean reduced downtime between calls and higher customer response rates. 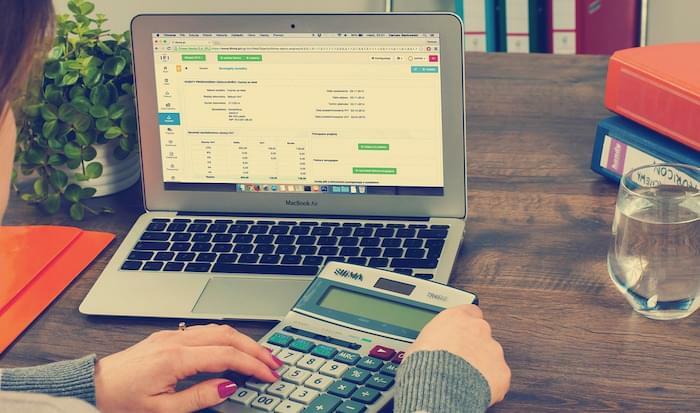 We’ve compiled a list of the best predictive dialing tools that include these features. Some are part of a larger VoIP platform; others are best-of-breed tools for sales teams. Five9 is a leading provider of cloud-based call center software that also includes predictive dialing and native CRM integrations. Their program gives you several options for dialing preferences, including predictive, progressive, preview, and power dialer. Five9 promises 300 percent improvement in call time over manual dialing. Integrate social media accounts to view information right in the interface for better customer interactions. Your dispersed workforce can access this cloud solution from anywhere. Your management team can use the internal analytics and reporting for calls and compliance as well as agent improvement training. Five9 includes inbound and outbound features, conferencing, and agent scripting. Responsive analytics measure your progress against average call completion to automatically fill the dialing queue. This cloud-based predictive dialer includes a built-in CRM and email marketing system, and you can keep your existing phone line to call into the service. PhoneBurner promises dialing for up to 80 contacts per hour with one-click voicemail messaging and instant answer to reduce lag time between pick up and answer. The SmartSender lead tracking feature provides notifications about email opens, so you can follow-up when customers engage with your content. LeadStream distributes leads across agents based on specific rules you set, and you can segment your lists with custom tagging and sorting. InsideSales is a full-service sales and lead generation product with a built-in predictive dialer. The program includes click-to-call and one-click voice messaging to reduce rep down-time. You can use rule-based inbound call routing to make sure your leads talk to the reps with the right experience and knowledge. InsideSales also includes email marketing capabilities that integrate with your calling data. Special features include texting, callback scheduling, and NeuralView, which sorts and segments your lists, so reps and managers build smarter contact lists. Local presence dialing is available. A blended inbound/outbound system keeps lines available for inbound calls while your reps call out, so you never miss a warm lead. Calls can be recorded for compliance and training. CallFire is a sales and marketing call application with dialing capabilities.This scalable solution works for all size centers, and includes reporting analytics. Dynamic call lists automatically update for answered, busy, and other call types. Automatic dialing decreases rep wait time. Reps will love the Smartdrop voice message feature, which leaves a pre-recorded message at the press of a button. Other CallFire features include call tracking for campaign-specific inbound numbers, and broadcast messaging via SMS. 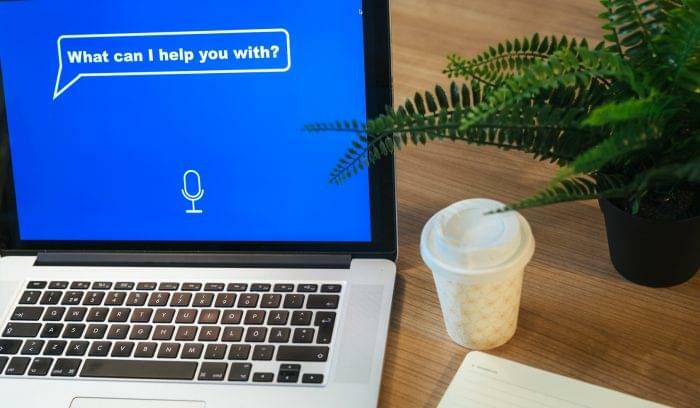 The interactive voice response (IVR) feature filters customers through a custom lead generation tree, giving your reps more information to start a conversation. InContact Dialer is a powerful call center management tool with lots of extras. The predictive dialing works through cloud integration, so your software automatically updates itself. All of inContact’s features were built on their automatic call distribution (ACD) platform, so each call is directed to the most appropriate rep with the right knowledge set and availability. InContact provides integrations with CRMs like Salesforce and Oracle, so your reps can access CRM data on their current screen (through CTI screen pops) rather than switching between programs. The intelligent call suppression feature compares queued numbers with local DNC lists to help you stay compliant. In addition to their predictive dialer, Newfies Dialer includes auto dialing, text messaging, broadcast messaging, analytics, voicemail detection, and lead generation with “press 1 to talk to agent” features. This option supports comparisons with internal and local DNC lists. You can nurture leads (a little bit) with automated phone surveys and keep track of your contacts using built-in phone books. This option doesn’t include a CRM, but it does provide API access for outside systems, with many integrations already built. The Newfies interface can support many different languages, so all of your teams across the globe can use the same program. 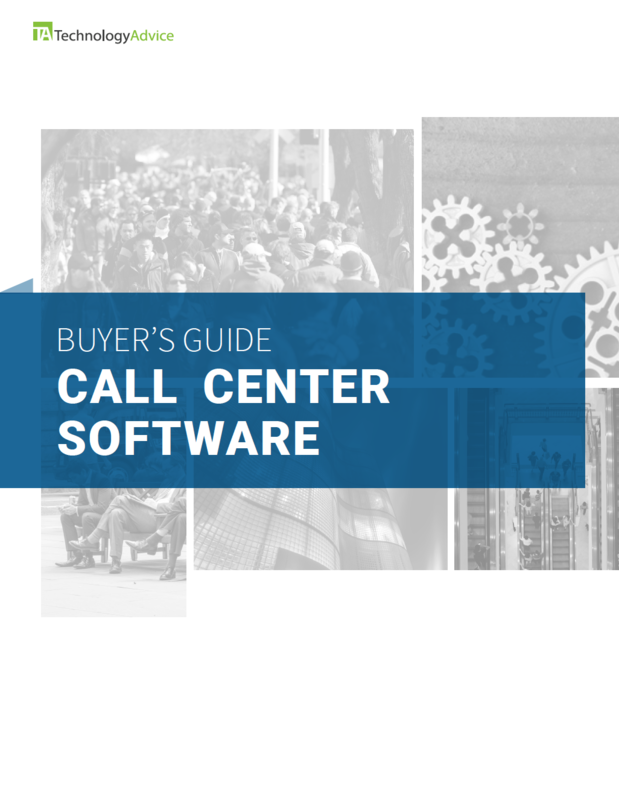 Electronic Voice Systems builds some of market’s top call center and sales calling software. Their programs include click-to-call, email and marketing automation, and integration with Salesforce for CRM. The many products in the EVS suite help you build a call center solution that perfectly matches your needs. Their Parrot tool gives you a predictive dialer and cloud-based call center software. Parrot lets you scale locally and with dispersed teams, connecting up to five calling lines per agent. Extras include ACD and IVR, as well as campaign capabilities with multiple caller ID. Your callers can view their lists in preview mode to customize their interaction, and manual mode lets them slow down the pace. This blended inbound and outbound solution means your callers have the flexibility to both receive and make calls. 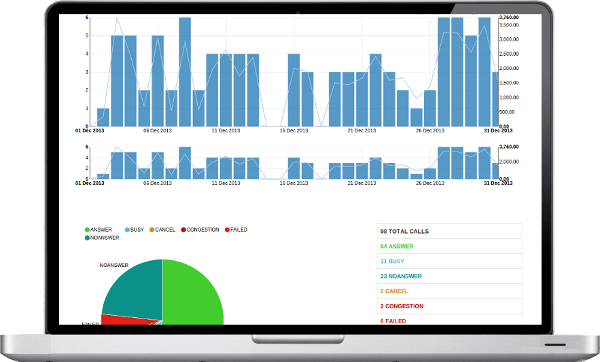 You can monitor your rep behavior and implement improvement strategies with built-in analytics and reporting. Predictive dialing software lets you segment, personalize, and speed up the calls your reps make. These software tools help you improve call center efficiency while staying compliant with local and federal laws. Hard to argue with that value proposition. Want to learn more about call center software? Our product selection tool includes over 40 calling solutions to help your team run more efficiently. Learn more about the benefits of Call Center with our market-leading research.